7) Fact check: George Noory of Coast to Coast AM has 16 million daily listeners? 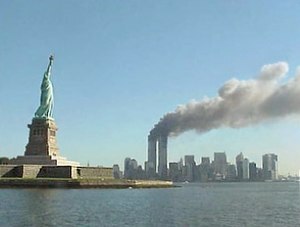 My thanks go to the producers of Loose Change for waking me up in 2006 to the fact that there is much to be questioned concerning the official story of 9/11. Credit also goes to Erskine of Erskine Overnight for arranging a tenth anniversary special interview with Rudi Dekkers, the Huffman Aviation flight school owner where two of the alleged 9/11 hijackers had trained, and for the bombshell revelations he provided, and I reported on. Particular thanks also goes to Charles Giuliani of Truth Hertz for his comprehensive and compelling analysis of 9/11 in his 2010 archives that I have pored over in the past two weeks. The focus of my blog is primarily economic, financial and political. 9/11 involved all those aspects, but many still aren’t willing to seriously question what really happened on 9/11. I am therefore going public as to what I have concluded beyond a reasonable doubt in my mind as to what didn’t happen on 9/11 (in no particular order). 1) Flight 77 did not hit the Pentagon. 2) The North and South Towers did not collapse solely due to plane impacts and resulting fires. 3) The WTC7 building did not collapse solely due to damage from neighbouring buildings and resulting fires. 4) Mark Bingham did not call his mother from Flight 93 and use his first and last name and ask whether she believed him. 5) Hani Hanjour did not perform the flight manoeuvres the official story says he did. 6) The passport found several blocks away from the WTC complex purportedly belonging to a hijacker did not fly out of the plane upon impact and land unscathed when nearly everything else from the towers was destroyed. 7) The voice purported to be of Mohammed Atta from the purported cockpit voice recorder of Flight 11 is not Atta’s voice, provided that Rudi Dekkers is telling the truth. Coast to Coast AM is scheduled to rebroadcast an August 1, 1997 appearance by reverse speech expert, David John Oates, on April 28, 2012, but what they won’t rebroadcast to their listeners is his final show where he was abruptly cut off for playing damning reversals of regular guests, Richard Hoagland and Major Ed Dames. Oates disclosed on his second-last appearance on Crash! Are You Ready? with George Whitehurst-Berry — before the show was abruptly pulled after four and a half years on the air — that he was making $100,000 a month from his regular appearances, but he naively thought that broadcasting the truth about Hoagland and Dames would be tolerated. In the episode, he plays damning reversals on Hoagland and Art Bell, starting in the second segment at 14:33. As to what Coast to Coast AM is really all about, see my article Erskine of Erskine Overnight implies that George Noory made a deal with the devil in becoming host of Coast to Coast AM. 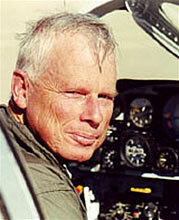 John Lear, the son of the inventor of the Learjet, is scheduled to be on Coast to Coast AM with John B. Wells on March 31, 2012. John Lear is a curious case in that just like Erskine of Erskine Overnight publicly raised questions about David Icke’s sincerity, I have questions about Lear’s sincerity as well. As Erskine pointed out, David Icke has done some great research into the NWO, but for many, his whole credibility comes into question with his talk of reptilians running things behind the scenes. It is a common tactic of disinfo agents to mix outlandish claims with accurate ones . However, some seemingly outlandish claims may actually be true, and making outlandish claims does not necessarily make one a disinfo agent. “A – Huh! So it actually took a fair amount of skill to plow into those buildings? J – I would say that it took about 200 or 300 hours for each pilot – and we’re talking about . . .
A – 200 or 300 hours? But you mean of simulator time? J – Of simulator time! They had to learn how to step into the cockpit – and that’s a whole thing – getting into the airplane, but that’s separate from that – they had to get into the cockpit and pull the circuit breaker for the transponder – sit in the pilot seat, disconnect the auto-pilot from the flight management system – turn the airplane, push the throttles all the way forward, find Manhattan – then line up on a pre-planned course – doing 10 miles a minute – they were clocked by air traffic control doing 600 miles an hour at 700 feet above the ground and fly directly into the middle the center of the World Trade Center. Now that – you know and the air races only fly 400 miles an hour and that’s difficult – but to fly an airliner like the size of a 757 at 700 feet – I mean that took some skill and that took a long time to train that – probably a year. “A – But what we’ve been given by the media – by the mass media – you know – they were down in Florida – getting a few hours on lighter aircraft – that doesn’t wash at all . . . But how much would people take Lear’s statements on 9/11 seriously when he was introduced in the same interview as asserting that Venus has an atmosphere much like Earth’s? November 2, 2003 was a critical time when gaping holes in the official 9/11 theory were unknown to most, including myself, and the mention of his beliefs about Venus and alleged advanced structures on the Moon no doubt made a lot of listeners view his statements on 9/11 with the same skepticism if not outright ridicule that they viewed his statements on Venus and the Moon. In any case, it demonstrates that one must roll up one’s sleeves and sort out fact from fiction. Unlike 9/11, there isn’t much of a motive for some credentialed scientists to fool us about the true nature of Venus, and I think that we should take his statements on 9/11 seriously and set aside his statements on Venus and the Moon until he starts coming forth with extraordinary evidence for his extraordinary claims. I came across Red Ice Radio in October, 2011, and since then, it has featured interviews with two prominent AIDS dissidents — Dr. Peter Duesberg and Rethinking AIDS President, David Crowe. You will notice the names of many guests who have appeared on Coast to Coast AM, including some others that are kept off of Coast to Coast AM by George Noory, such as Dr. Peter Duesberg and David Crowe.